Huawei has hit back at being banned by the Australian Government from providing 5G technology in the country, claiming the move is "politically motivated, not the result of a fact-based, transparent, or equitable decision-making process". "It is not aligned with the long-term interests of the Australian people, and denies Australian businesses and consumers the right to choose from the best communications technology available," a company statement read, in response to the ban. According to the Chinese vendor, the ban will create a non-competitive market and raise the cost of network construction. "In the end, everyday businesses and consumers are the ones who will suffer the most from the government's actions," Huawei stated. "Huawei is one of the core developers behind 5G. "The Australian Government recognises the massive benefits that 5G technology will bring to Australia's economy, and yet it has restricted the use of Huawei's technology. "Innovation works because innovators are rewarded for their work, but the government has effectively denied Huawei a right to compete for a return on our investment." In a further attack on the Australian Government, Huawei said that interpreting Chinese law should be left to "qualified and impartial legal experts". The tech giant said it has provided the Government with an independent, third-party expert analysis of the Chinese laws in question. "Chinese law does not grant government the authority to compel telecommunications firms to install backdoors or listening devices, or engage in any behaviour that might compromise the telecommunications equipment of other nations," the statement added. "A mistaken and narrow understanding of Chinese law should not serve as the basis for concerns about Huawei's business. "Huawei has never been asked to engage in intelligence work on behalf of any government." According to Huawei, there is no "fundamental difference" between 5G and 4G network architecture; the core networks and access networks are still separated. "Moreover, 5G has stronger guarantees around privacy and security protection than 3G and 4G," the statement added. "We urge the government to take an objective and fact-based approach to security issues, and work together on effective long-term solutions. "Open dialogue, joint innovation, and close collaboration are essential to the ongoing development of the telecommunications industry." The response comes less than 24 hours after Huawei announced it had been banned by the Australian Government from providing 5G technology to Australia. "We have been informed by the Govt that Huawei & ZTE have been banned from providing 5G technology to Australia," the company stated at the time. "This is an extremely disappointing result for consumers. "Huawei is a world leader in 5G. Has safely and securely delivered wireless technology in Australia for close to 15 years." 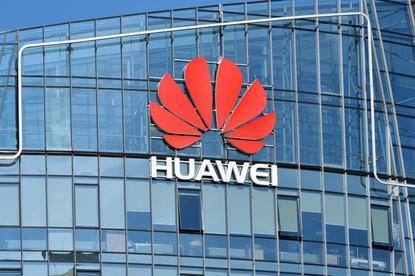 In July, Reuters reported that Australia was preparing to ban Huawei Technologies from supplying equipment for its planned 5G broadband network after its intelligence agencies raised concerns that Beijing could force the Chinese telco to hand over sensitive data, two sources said. Huawei said it will continue to engage with the Australian Government and will take all possible measures to protect its legal rights and interests.